Moreover, moving forward most believe that with one party controlling the White House and another party controlling Congress, the status quo will hold no matter what happens. But this is no time for Obamacare opponents to lose faith — or focus. This month the bill’s namesake — President Barack Obama — submitted a $4 trillion budget aiming to further explode our government’s $18.1 trillion debt, and Obamacare was at the heart of it. In addition, the law’s onerous individual mandate is wreaking havoc this tax season — threatening to deprive up to six million Americans of one percent of their annual income (a penalty which will double to two percent next year). Meanwhile, there is a looming U.S. Supreme Court decision on the enforceability of Obamacare’s subsidies via the federal exchanges in states that refused to participate in administering the law, all of which will be of critical importance to the long-term economic well-being of our country. So, how did we get here? How bad are things? And how do we fix them? These are the central questions often ignored amidst the noise over the law. Nine years ago Barack Obama — a year into his first term in the U.S. Senate — addressed the Newspaper Association of America’s 2006 convention in Washington, D.C. This was before the term “Obamacare” had even appeared in print for the first time (in a March 2007 industry journal written by health care lobbyist Jeanne Schulte Scott). “My argument to Democrats has been that we need to cling to the core values that make us Democrats, the belief in universal health care, the belief in universal education, and then we should be agnostic in terms of how to achieve those values,” Obama said at the time. We would also learn from the U.S. Supreme Court that the mandate was in fact a “tax” — and later from Obama himself that the law’s “if you like your doctor or health care plan, you can keep it” promise was a deliberate falsehood. Four years ago, the Republican-controlled U.S. House — elected on the strength of an anti-Obamacare wave — passed its first repeal of the hated legislation. This week, the House repealed Obamacare again — and is sending its bill (along with a blueprint to replace the law) to the U.S. Senate, which is under Republican control for the first time in eight years. A study released last month by The Commonwealth Fund revealed the average insurance premium now consumes 28 percent of median income — or roughly $16,000 a year. And it projects an “uptick” in this percentage for 2015. Meanwhile a whopping 93 million working-age Americans are currently out of the labor force — and new data shows U.S. businesses are dying faster than they can be created (for the first time ever). What is the most important thing Congress can do to create lower premiums, higher incomes, more jobs and expanded economic activity? 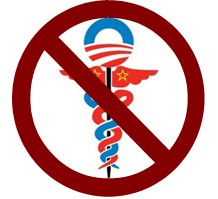 Eliminate Obamacare’s taxes, subsidies, and mandates. That’s why repeal still matters — and why Obamacare’s opponents need to recognize that there is no rest for the weary. And no room for tinkering around the edges, no compromise. There are no acceptable half-measures. Keep fighting until this offensive abomination is repealed in full. Bill Wilson is a Board Member of Americans for Limited Government.